American fashion brand Joyrich has opened a pop-up shop within the Machine-A store in Brewer Street, as the first step towards a launch in Europe. It opened on Monday 6th, and will feature several items from their collection, including some that are limited edition. Joyrich is the brainchild of founder Tom Hirota from LA, with creative direction by Taka Okude and design by David Melgar, and is known for its pop-art graphics. 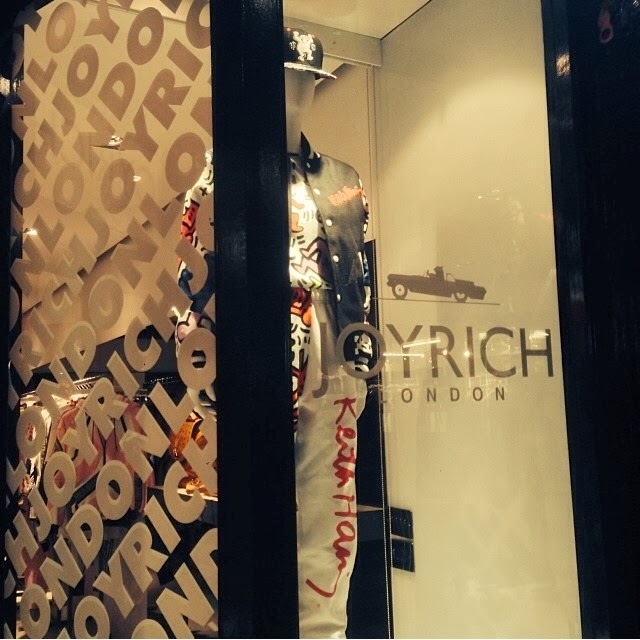 "Joyrich opened its first pop-up shop in London marking its move into the UK and European market. The brand took over a room at Machine-A and turned it into a dedicated Joyrich space selling their own label pieces and its Spring/Summer 2014 exclusive collaboration with stylist and creative director Maripol. Joyrich have collaborated with brands including The Simpsons, Coca Cola, Betty Boop, Disney, Keith Haring, Le SportSac, G-Shock, Gerlan Jeans and Mademoiselle Yulia's Giza. The brand is available internationally through their e-commerce platform as well as in key retailers and through flagship stores in the US, Japan and Korea."